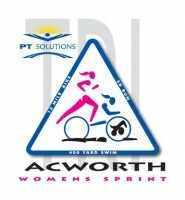 City of Acworth along with Georgia Multisport Productions will be hosting the PT Solutions Acworth Women’s Sprint Triathlon on Sunday, August 8, 2010. Ovarian Cycle, Inc. is the Official Charity for the event and it is sanctioned by USAT, the national governing body for the sport of Triathlon. The Acworth Women’s Triathlon will be held at Dallas Landing and will begin at 7:30 am. Come out and support over 600 women young and old as they swim 400 yards, bike for 13 miles, and finish with a 5k run ending in downtown Acworth. Know someone in the race? Be sure to support them by visiting the shops in downtown Acworth for event gifts and specials! For more information and up coming races contact Jim Rainey 770-926-2367 or jim@gamultisports.com.